Bailey Asphalt is the premier asphalt paving company in the greater Michiana area. We work within a 90 mile radius of Niles, MI encompassing all of Southwest Michigan ad Northern. Indiana. We have and will also travel further for specific commerical projects outside our normal service area. 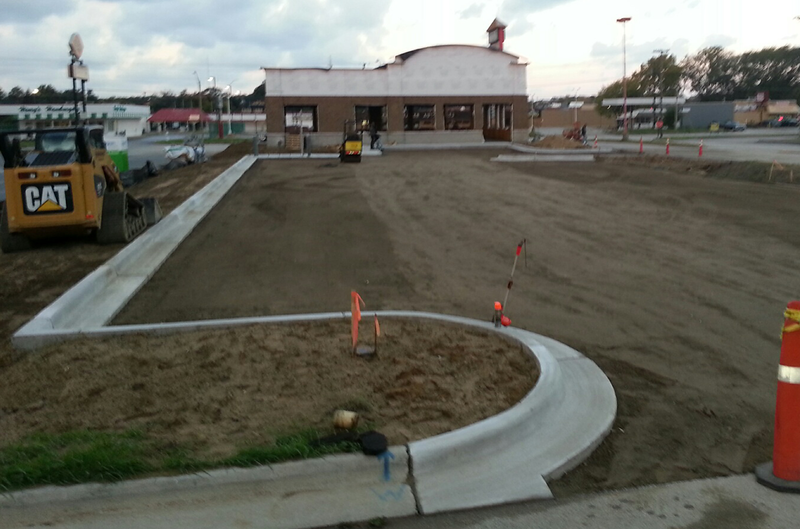 Bailey Asphalt specializes in all new construction asphalt installation and damaged asphalt repair. A new construction paving job requires the right equipment, the right high-quality materials and trained and experienced professionals who know how to use them. At Bailey Asphalt, we stand out from our competition when it comes to handling new asphalt construction. Our professional paving crews can successfully manage and complete everything from small, light traffic parking lots to heavy duty truck terminals where traffic specs require deep strength paving. Let our helpful staff design the right specs for your needs. The condition of your parking lot or driveway sends a message to customers. A well-paved, crack- and pothole-free driving surface says you’re concerned about appearances. It also says you’re thinking about customer safety, and that you want to protect their vehicle from damage when they visit your business. But unsightly cracks and potholes send a different message entirely — and it’s not pretty. 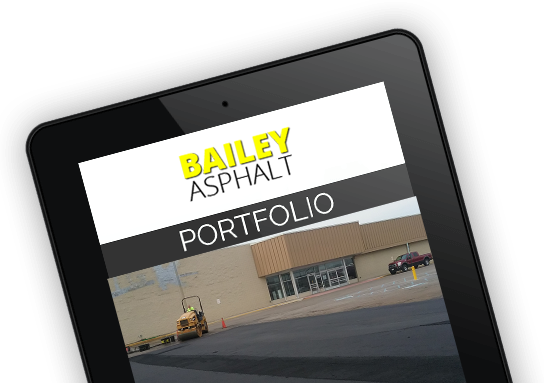 If you care about sending the right message to your customers, now is the time to contact the asphalt experts at Bailey Asphalt. Commercial asphalt repair and replacement. 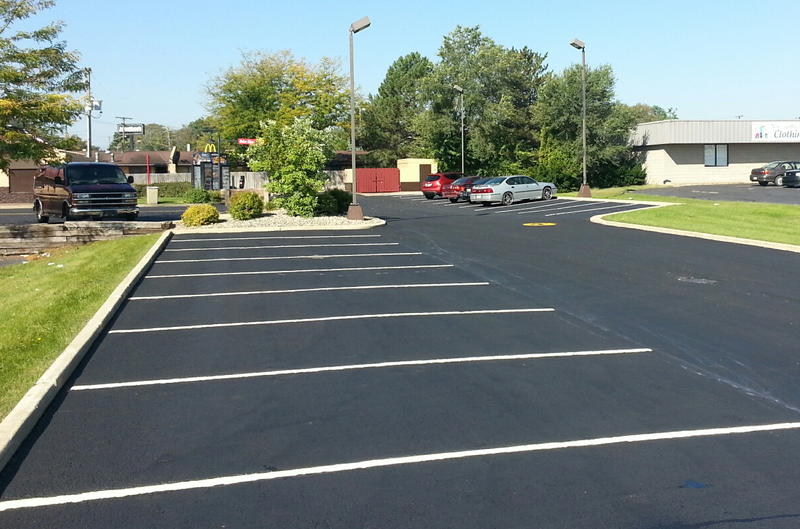 Bailey Asphalt is a leader in Southwest Michigan and Northern Indiana asphalt patching. Capabilities include pothole patching, roadway patching, and small asphalt paving jobs. Our crew is outfitted with tamps, rollers, and saws to ensure that the patch job is of the highest quality possible. The highlight of this program is a dedication to quick service. The majority of our patching jobs can be scheduled within several days, with same day emergency services available. We specialize in a wide range of services, including but not limited to the following: residential seal coating and crack repair, commercial line striping, and pothole patching. Whether you need a small driveway repaired or a huge commercial parking lot redone, no job is too big or too small for the experts at Bailey Asphalt. Any asphalt job is only as good as the amount of preparation that goes into it. At Bailey Asphalt, we take pride in our level of attention to detail. With Driveway Seal Coating from Bailey Asphalt, preventative maintenance does not cost – it pays!